During his U.S. teaching tour, world renowned Dressage Trainer Conrad Schumacher made a stop to Quailhurst Stable. Considered one of the few “Masters” of the sport, it was more than an honor to have him work privately with our horses. Deborah has been a regular student of Conrad’s for the past six years, traveling from locations throughout the state of Washington with multiple horses. It has been a dream to work with him on an extended basis, not just for a 3 day clinic, so when he offered to come the dream was fulfilled. The original intention was to work with Tjinja, Deborah’s top competition horse, but due to her passing the rides were filled by her offspring and Deborah’s former young horse returning to work following her foaling. 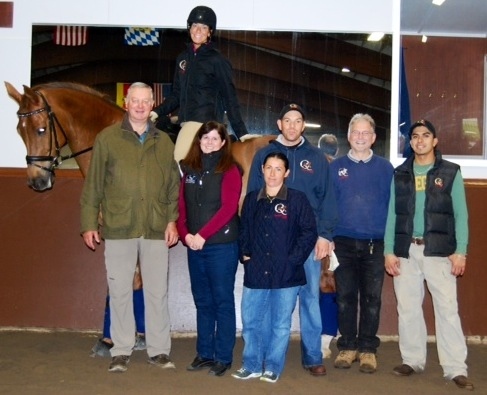 Following the few training days at Quailhurst, Conrad and Deborah headed north to Starr Valley Farm in Longbranch, WA, then on to Pupmpkin Farm in Snohomish, WA, where Conrad is a regular. After three locations and three horses and a total of 21 rides, they have returned home with an experience of a lifetime.